He&apos;s here! Prince George Alexander Louis arrived this week and he couldn&apos;t be cuter! I know he&apos;s still in that squishy faced newborn stage, but from the glimpse I saw, I&apos;d say he&apos;s pretty darn adorable. Considering he came from two crazy gorgeous people, that&apos;s no shocker right? 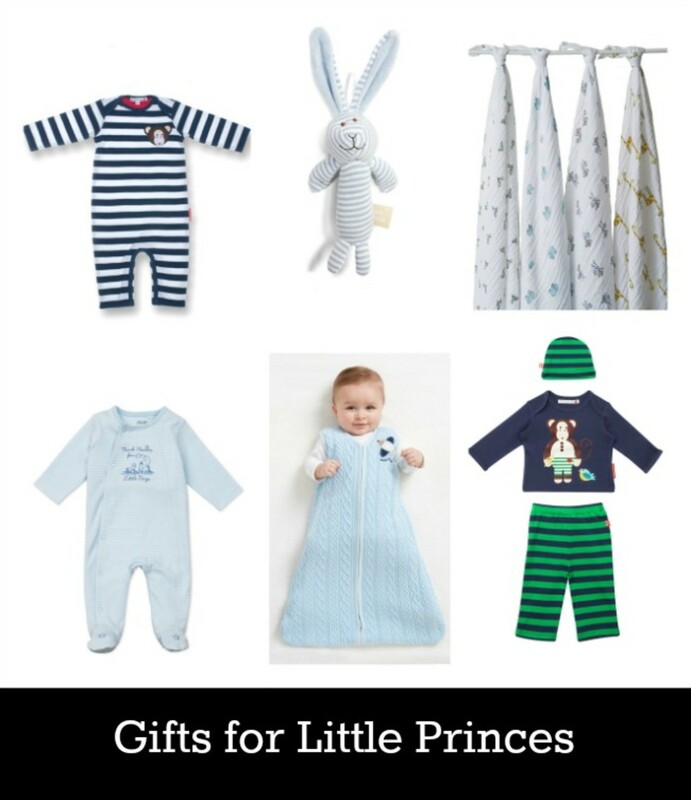 William and Kate&apos;s precious bundle is obviously going to be showered with gifts and with him in mind, I thought it would be fun to share a roundup of goodies fit for the little prince in your life! When I find super cute clothes for little guys, I&apos;m always excited as they&apos;re not exactly easy to come by and the striped outfits from figleaves.com are the epitome of cute! While I tend to veer away from traditional boy outfits, there is something so sweet about a baby blue coming home from the hospital look like Little Me&apos;s Thank Heaven for Little Boys Footie. As far as gifts go, I especially love giving products that I have found to be useful. Swaddle blankets and sleep sacks are two of my go tos. Aden & Anais swaddle blankets are delightfully soft and multi-functional (I&apos;ve used mine for everything from a play mat to a burp cloth) and Prince George just so happened to leave the hospital in one. Love that you can find that exact blanket over at Gilt.com! Also a must have, in my book, is Halo&apos;s SleepSack wearable blankets. It kept my wiggly bambinos warm when they started to wiggle out of their swaddles. A soft rattle like the bunny in our roundup would be a perfect accent piece to add to this gift! And if you decide to bring the mama or mama to be in your life one of these precious gifts, why not include something especially for her? I bet she wouldn&apos;t turn away a cupcake! 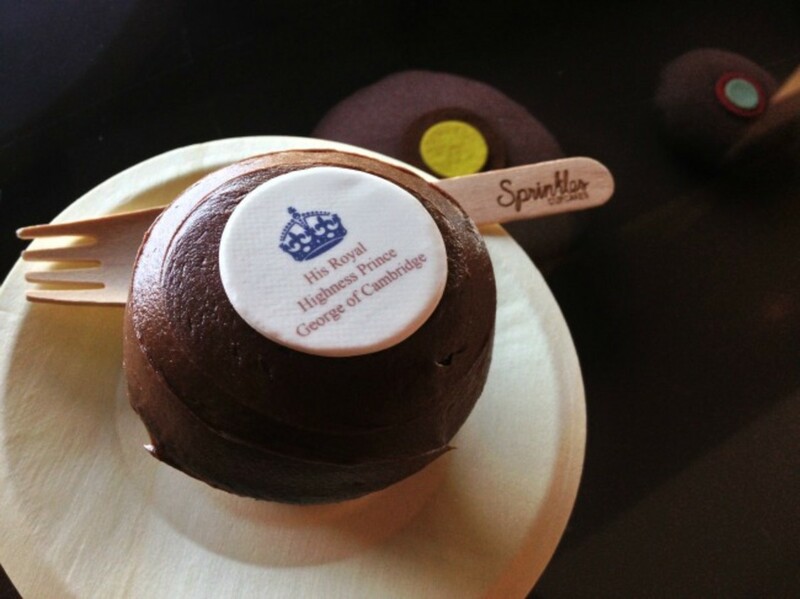 I&apos;m loving the adorable cuppies Sprinkles created in honor of the little prince!